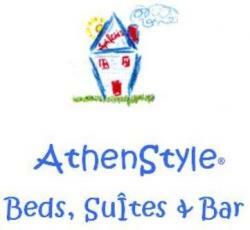 …during your stay in Athens. We got a BRAND NEW LCD TV !!! So you can watch the WORLD CUP ON THE ROOF (or turn around and just enjoy the breathtaking view) always with cold, draft Mythos beer !!! There are always things happening in the streets of Athens… including ours! check the minute 0:17, this green building is AthenStyle!! Athens Art & Culture Association, What’s up!! The Complete Sculptures of Edgar Degas 74 bronze sculptures of Degas no-one knew existed until now. (Herakleidon Museum 16 Herakleidon St Thisio. € 6 students € 4 h 13:00-21:00 Sun 11:00 – 19:00. Until 14/08. Musical concerts, theatrical performances, ancient dramas, lectures and many more events will be held at the Ancient Theatre of Epidaurus, the Odeon of Herodes Atticus and various places around Athens. Important artists will make their Greek debuts during the festival (Romeo Castellucci, Guy Cassiers, Michael Thalheimer, Alain Platel, Esa-Pekka Salonen) while productions of well respected international institutions will take place (Brooklyn Academy of Music, Old Vic, Festival d’ Avignon, Wiener Festwochen). The Athens-Epidaurus Festival has come a long way since its beginning but today it is one of the most important cultural events in Greece. It was in September 1938 when ancient drama was performed at the Theatre of Epidaurus for the first time since ancient times. The National Theatre production of Electra, a tragedy by Sophocles, was presented there under the soft evening light, as there was no electric power. The festival is a great celebration that has lasted 53 summers and hosted some of the leading lights of theatre, music and dance. This year will be happening from to June to September in Athens. Check the full programme in http://www.greekfestival.gr and don’t miss it! For the second consecutive year, the Athens Fringe Festival opens its doors from 16 to 20 June 2010 along with a number collaborating venues through the streets and squares of the city. The Athens Fringe Festival is an open celebration of artistic expression that includes all types of art, such as music, theatre, dance, visual arts, literature, as well as social action. This year for the second time, AthenStyle will be hosting some of the events (visual art, video projections and conversations). If you are staying in the hostel, don´t miss our events from 16 to 20 June!